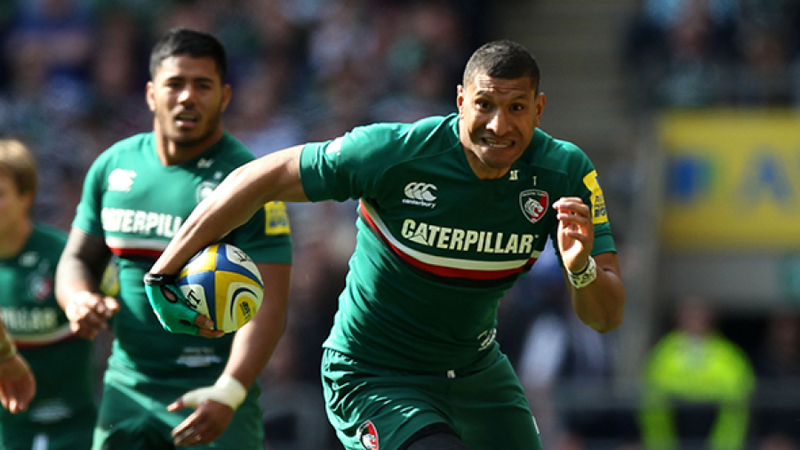 Steve Mafi has left Leicester Tigers to join Super Rugby outfit the Western Force. The second row, who was named the Tigers' players' player of the season in 2012, has signed a two-year deal with the Force, the Australian club confirmed. Mafi started his career in Australia with the Waratahs before moving to Leicester in 2010, and has previously represented Australia U20s before appearing as senior international for Tonga. He has now been offered a second chance in the southern hemisphere by Force head coach Michael Foley, who initially let him go when in charge of the Tahs. Mafi made 85 appearances for Leicester in his four years at Welford Road, scoring 11 tries. He was granted an extended leave of absence last season to return to Australia to support his young family following the birth of his son. "It's great to have the opportunity to come back to Australia to play with the Force and be closer to my family," Mafi said. "I've always had an eye on coming back to play Super Rugby and I'm looking forward to working to get my opportunity next season. The grounds in the UK are heavier than they are in Australia, and I'm looking forward to playing some attacking, running rugby. "I've followed Super Rugby while I've been away, and the Force has improved a fair bit in the last few years and I can't wait to be able to contribute to that. "I've played with guys like Wykesy [Sam Wykes], Ben McCalman and Nathan Charles in the Australian Under 20 squad, so it'll be great to play with them again as well as against a lot of others that I know as well. I played under Foles at the Waratahs too, and it's always good to know the coach wherever you're playing. "Wykesy's also told me a lot about the culture at the Force and shown me around Perth a bit, and I know it'll all work very well for me." The move to Perth could also see Mafi eventually play for Australia, despite the fact he already has 10 Tonga caps. The ARU are thought to be keen on exploiting the Olympic eligibility loophole, designed to allow any player who has not played a Test for 18 months to switch national allegiances at Rio 2016 if they are eligible for another country. Rio will see rugby sevens feature as an Olympic sport for the first time. The clause is aimed at freeing up players for the Olympics, but national unions are hoping to apply for any player switches to become permanent, allowing them to play Test rugby for their 'new' countries. Mafi however, would have to wait until 2016 before appearing in a Wallabies Test shirt.